Held by: Steve Ciobo (Minister for Defence Industry) – retiring. 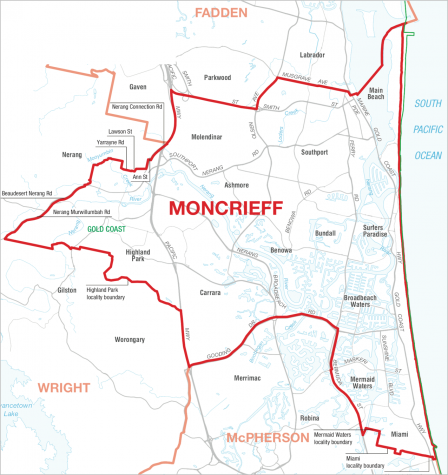 Redistribution details: Boundaries slightly changed in redistribution. 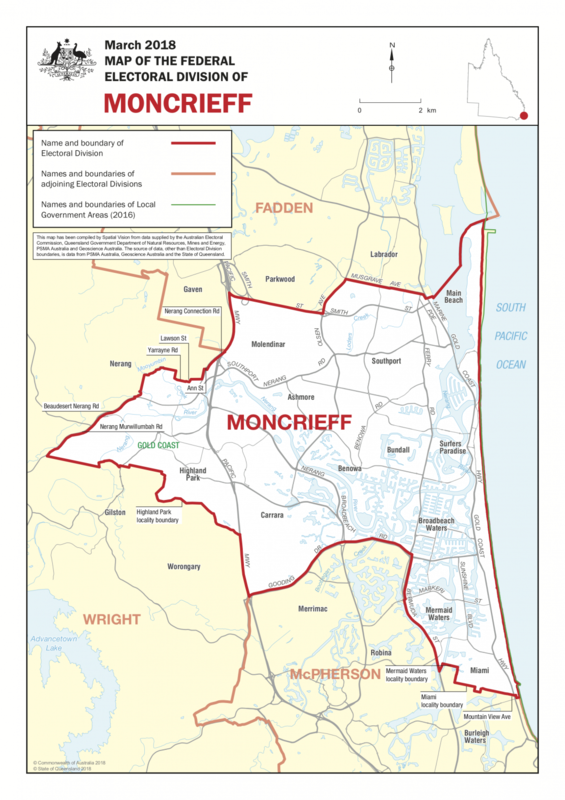 4,000 voters move from the largely Labor-voting sections of Molendinar (then in Fadden) into Moncrieff. Key Comments: Ciobo was a hard-right Dutton-backer in the Turnbull spill. Like all federal GC seats, this is sufficiently safe; it will not change hands. The only interesting contest might come from a popular Liberal independent. Labor’s negative gearing and franking credit taxes likely to suppress the Labor vote here.